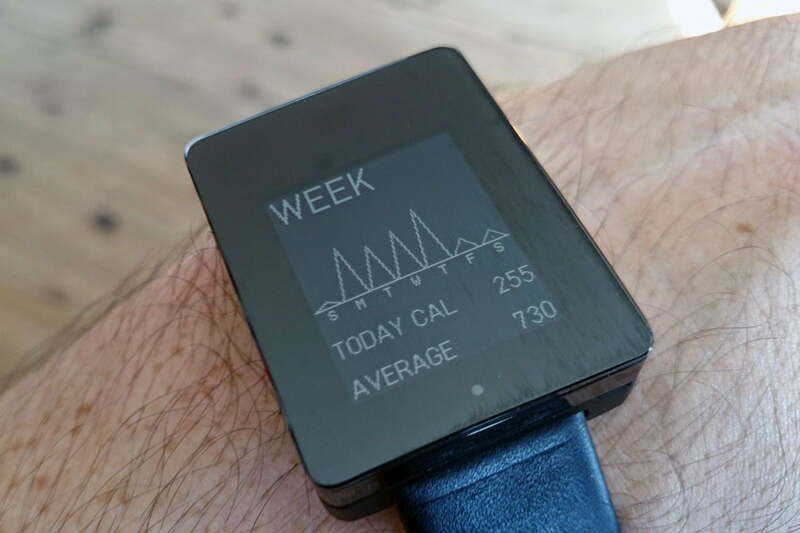 The Wellograph is a very stylish way to track your activity, but it’s also very expensive and it doesn’t do a great deal. 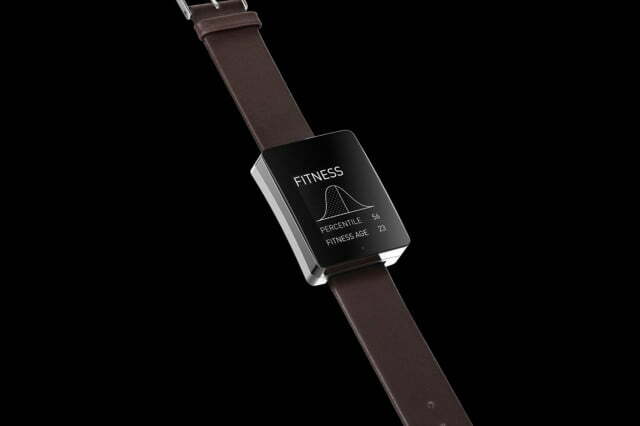 Fitness and technology have collided in a big way to drive the first wave of wearables. The kind of sports science that would have once been reserved for pro athletes is now available and relatively affordable for us all. 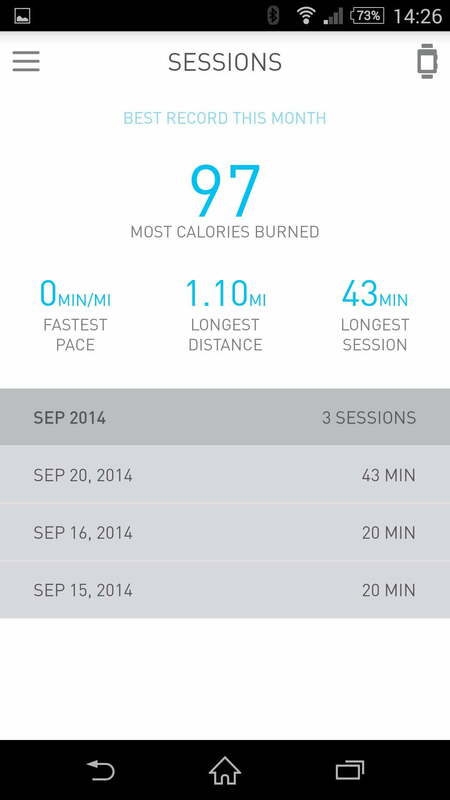 It’s easier than ever to track your walks, runs, and exercise sessions. Calorie counting has never been more popular. We’re constantly warned about the dangers of our increasingly sedentary lifestyles. Fitness trackers offer a convenient way to capture the raw data about our daily movements for us to analyze at our leisure. I’ve been wearing the Wellograph Watch for the last week. 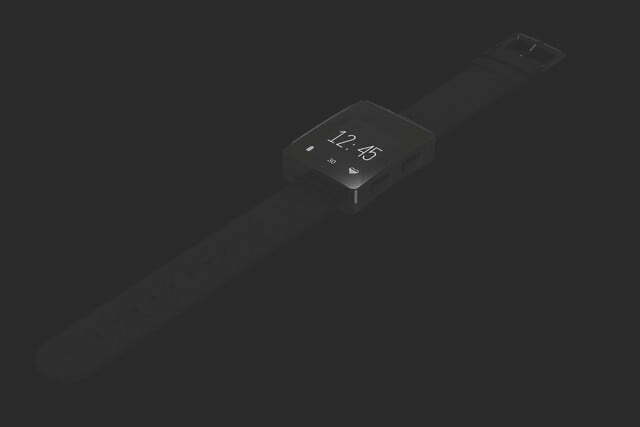 It’s an activity tracker with a heart rate monitor that presents you with a series of monochrome graphs that reveal things like your average calories burned, distance covered, and heart rate. Unusually for a fitness device, the Wellograph has a classy premium design that combines a curved aluminum base and a stainless steel body with a sapphire glass display. It looks expensive, and at $350, it is. The Wellograph can be synced up with a smartphone app to offer more insight into your general fitness, but it’s not a smartwatch. It is completely focused on how active you are. 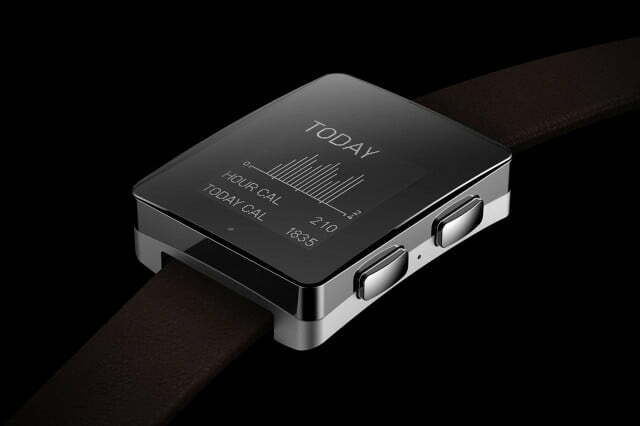 At first glance you would never guess that the Wellograph is an activity tracker. It screams premium style with its incredibly tough, convex sapphire crystal face, which protects the 1.26-inch LCD screen. Apple was widely expected to use sapphire crystal in its new Apple Watch and iPhone 6, but it can only be found in some Apple Watch models and the Touch ID on the iPhone for now. It’s an expensive material that’s much harder than toughened glass and it promises to keep the Wellograph blemish-free well into the future. The upper case is stainless steel, finished in gloss black. Meanwhile, the lower case is anodized aluminum with a matte black finish and is curved to comfortably fit your wrist. You can get a contrasting version with a lower case that’s silver. 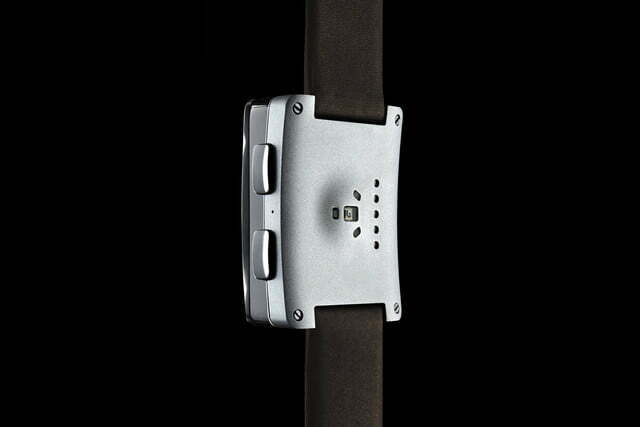 The watch is controlled via two large aluminum buttons on the right hand side. 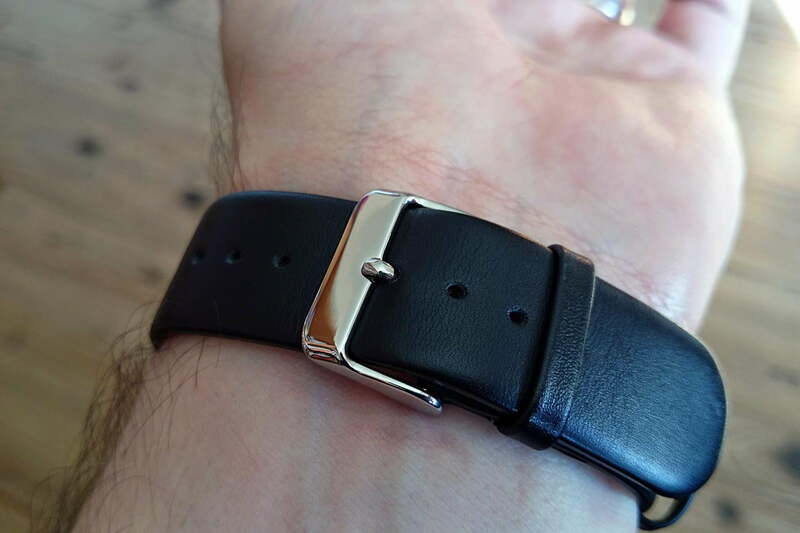 My review unit came with a black leather strap, but you can also opt for brown leather or a nylon nato strap. The Wellograph is very comfortable to wear. The face is rectangular and measures 42 x 33 millimeters or 1.65 x 1.3 inches. 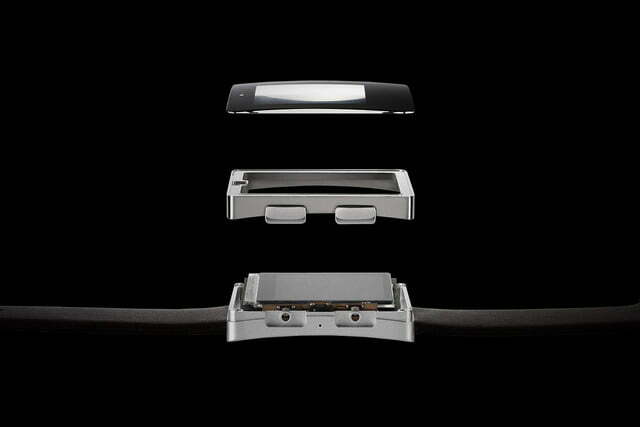 The only real clue that the watch is packed full of sensors is the Wellograph’s chunky build. It is half an inch thick (12.5millimeters) and it looks decidedly fat. It inevitably catches on your cuffs and it’s going to look positively huge on slender wrists. However, at 55 grams or 3.52 oz, the weight is not an issue and you can forget you’re wearing it. The Wellograph is also water resistant, rated at 5ATM, which means you can shower with it on, or swim in shallow water while wearing it. The documentation suggests it can be submerged up to 50 meters or 160 feet, but it does also caution you against pushing the buttons when the watch is wet because you may let water in. If you flip the Wellograph over you’ll see the Tri-LED heart rate sensor which flashes green when trying to capture your pulse. It’s slightly raised and designed to replicate the action of a doctor using a fingertip to feel your pulse. As long as you have the watch on fairly tight it seems to be quite accurate, but as the instruction booklet says, the Wellograph is not intended for use as a medical device. 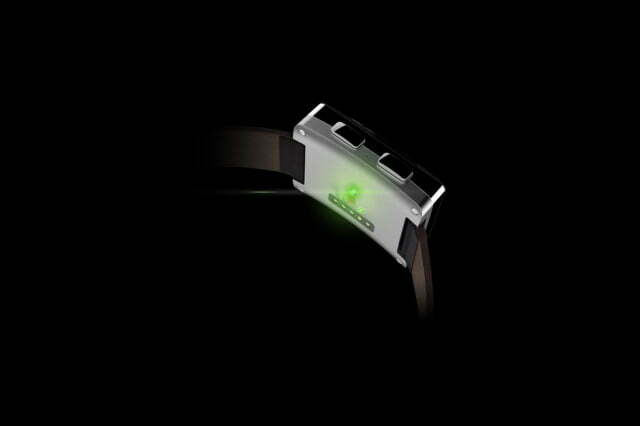 The Wellograph can provide you with data on steps taken, distance covered, calories burned, and average heart rate. Combined with the 9-axis motion sensor, the Wellograph knows when you are moving and it can track your activity, while simultaneously providing you with data on steps taken, distance covered, calories burned, and your average heart rate. There’s no GPS, so the distance covered is an educated guess based on your movement. It’s not clear exactly how accurate this measurement is, but you can wave your arm and the Wellograph will count that as a step, so it’s certainly nowhere near 100 percent. You can also explicitly tell the watch when you are beginning an exercise session. 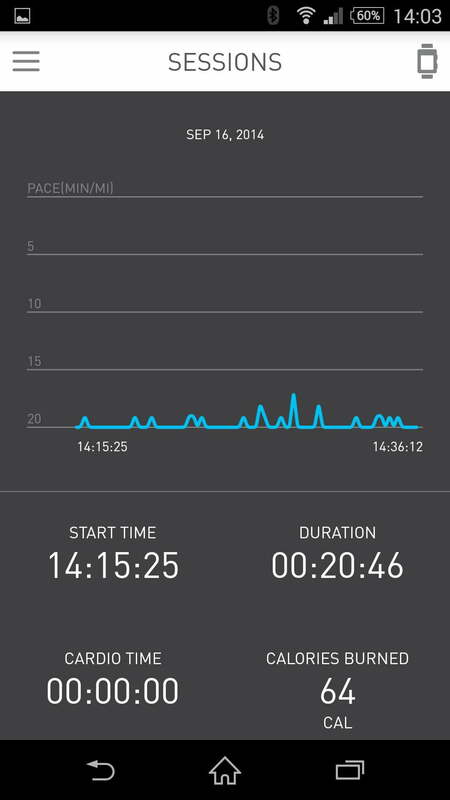 The stopwatch function can be used for workouts, but it’s ideal for runs, showing your current pace and the distance covered as you go. The Wellograph also provides you with useful stats at the end of your workout, on your top speed, heart rate peaks, and calories burned. The monochrome screen has a resolution of 168 x 144 pixels and you can cycle through the various modes by tapping on the bottom button, then dive deeper into a section, or select something with the top button. You can also choose between a traditional clock face and a digital display for the time. There’s no touch functionality on the Wellograph screen and it can be a little laborious if you need to navigate into the settings menu. That irritating feeling when you cycle one entry too far and have to tap all the way round, only to do the same thing again, definitely elevated my heart rate. Sunlight legibility is also an issue. I don’t know if the sapphire crystal is to blame, but the face of the Wellograph is incredibly reflective. The low power display is not very bright at all. You really have to shield it if you expect to read it outdoors. If you don’t love that angular metal body and sapphire crystal face, then there’s little reason to consider buying it. It’s somewhat disconcerting to see a precise readout of exactly how idle I am on an average day. It’s also surprising to see how many steps I take without really going anywhere. The Wellograph automatically records when you move, so you can forget about it and it will quietly collect data. It asks you for your gender, age, height, and weight when you first set up a profile. The watch even gives you a morale-boosting — or anxiety-inducing — idea of your fitness after you’ve been wearing it for a while. Thankfully, my average heart rate gives me a “fitness age” that’s below my real age, so I figure I’m doing something right. 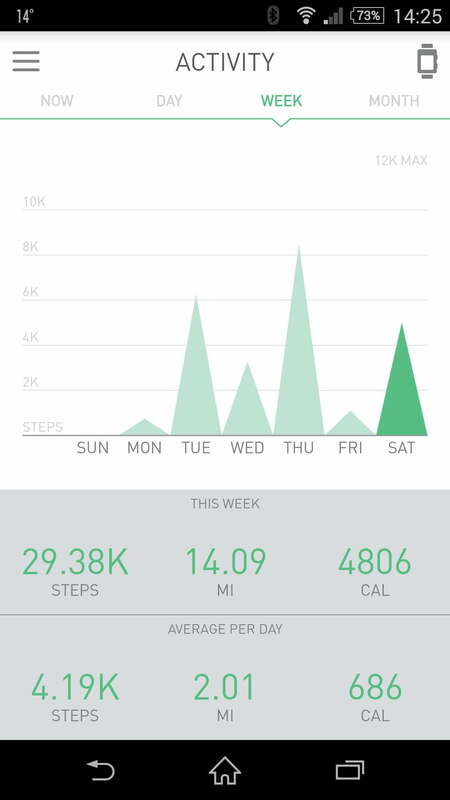 The Wellograph does give you a nice overview of your general activity and it can store up to four months’ worth of records. It could be used as a standalone device, but you’ll only ever be able to see basic data, which mostly covers that day. There is a calorie chart that covers a week, but you’ll want to offload the data if you expect to gain insights about your progress over time. You can download a companion app for Android, iOS, or Windows Phone and sync the Wellograph, using Bluetooth 4.0 LE. You’ll pair the device when you first sync it, and after that, it’s a simple case of turning Bluetooth on and tapping the sync option in the app. 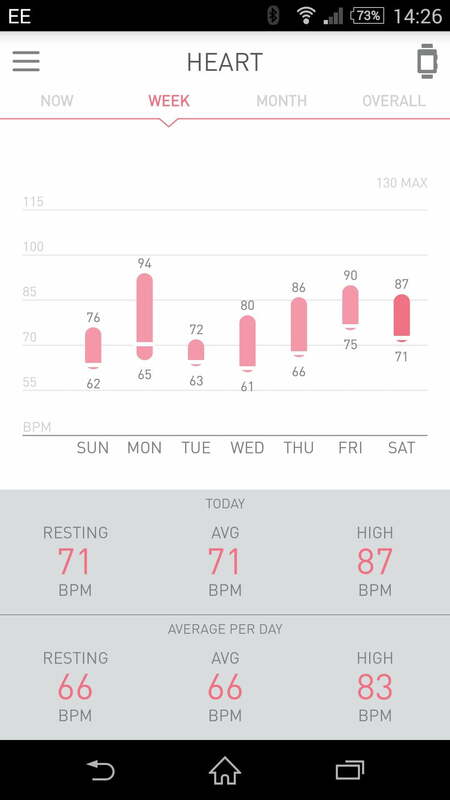 The Wellograph app retains the same clean lines and simple aesthetic of the watch itself, but it offers more detailed charts on your activity, heart rate, and recorded workout sessions. It also allows you to see the data from the last week or month. Syncing with the smartphone is quick and easy, you might do it every couple of days. All it does is upload the data to the app. 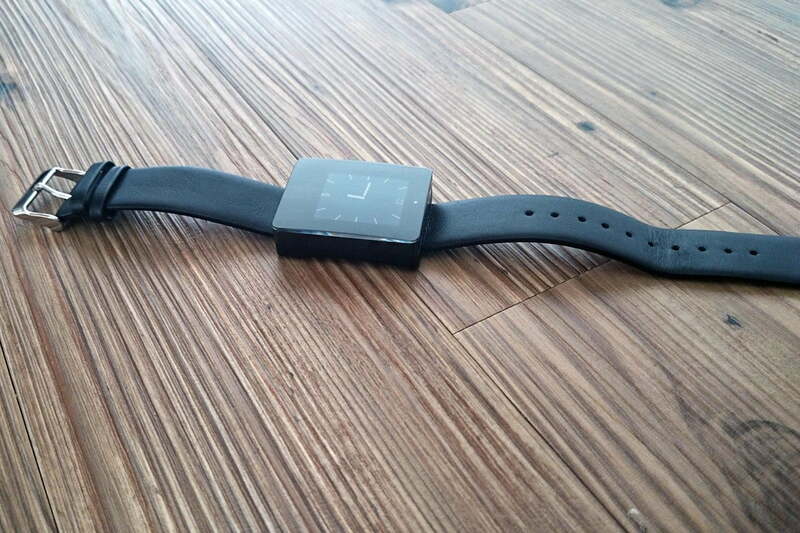 There’s no option for notifications, remote control, or anything else you might associate with a typical smartwatch. The only issue I encountered was related to syncing after a firmware update when it lost my first two days of data. There were another three firmware updates after that, which downloaded and functioned without a hitch. I would expect that pace to slow down significantly going forward, but the Wellograph is brand new, so there’s obviously some tweaking going on to get it just right and eliminate bugs. Boasting a 210mAh battery and with few demands on that supply, the Wellograph is designed to run for up to seven days between charges. 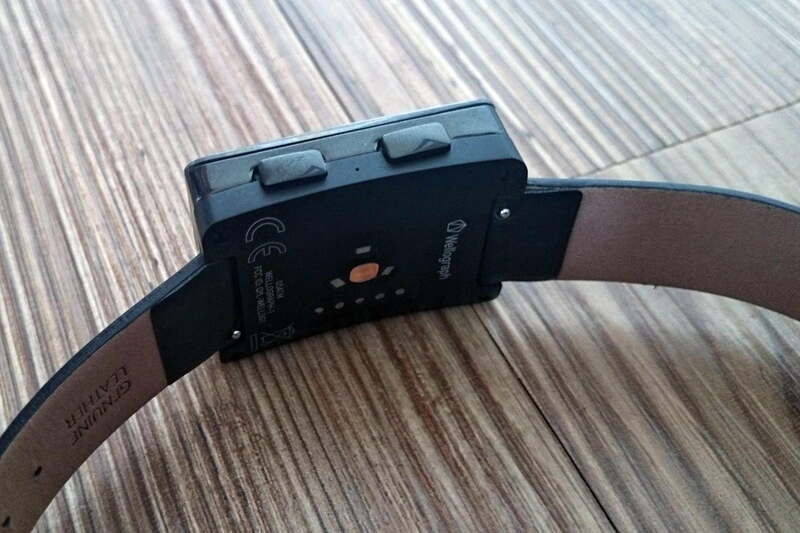 It didn’t arrive with a full battery, but after I charged it fully, the watch lasted through four days of heavy usage before automatically activating a battery saving mode. Seven days seems on the optimistic side, but it does come with a magnetic dock, which makes charging the Wellograph very easy, no fiddling with cables or flaps. 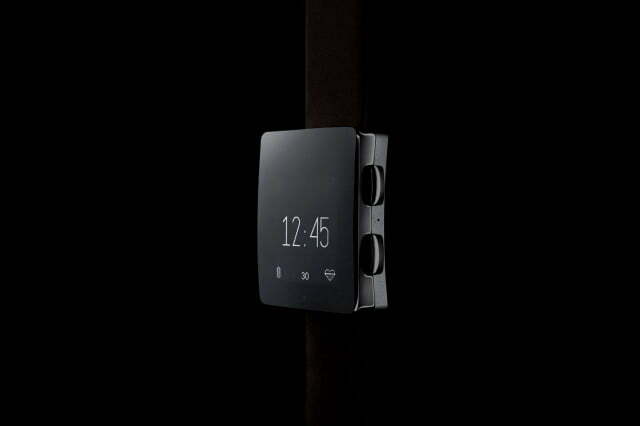 It displays the time, but swivels the view to landscape when you charge it, so you could conceivably use it as a nightstand clock, though the lack of an alarm function seems like an odd omission. It can be annoying to get a constant stream of notifications direct to your wrist, but that’s not a problem you’ll have with the Wellograph. 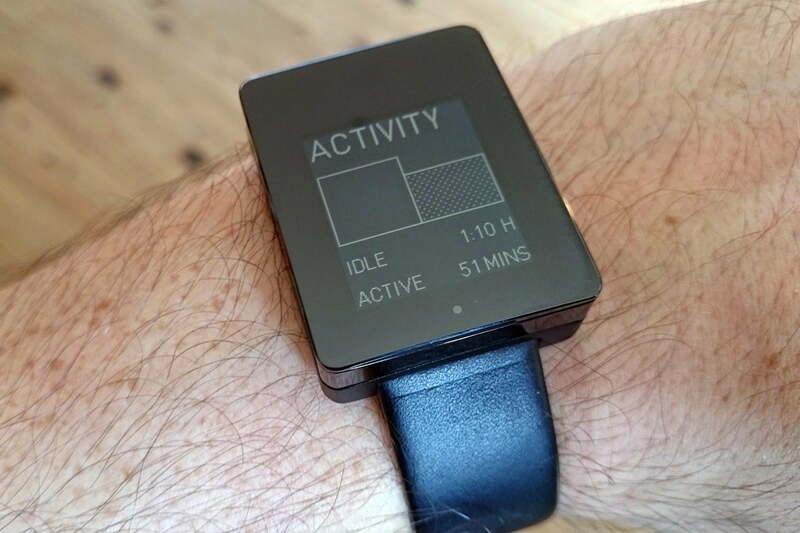 This is an activity tracker, pure and simple. It never beeps at you, it doesn’t deliver messages, and it can’t take voice commands. 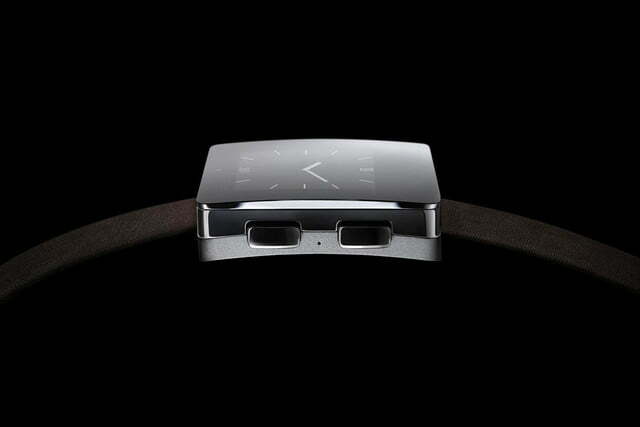 Even as a watch it takes the minimalist road, eschewing obvious functions like an alarm. 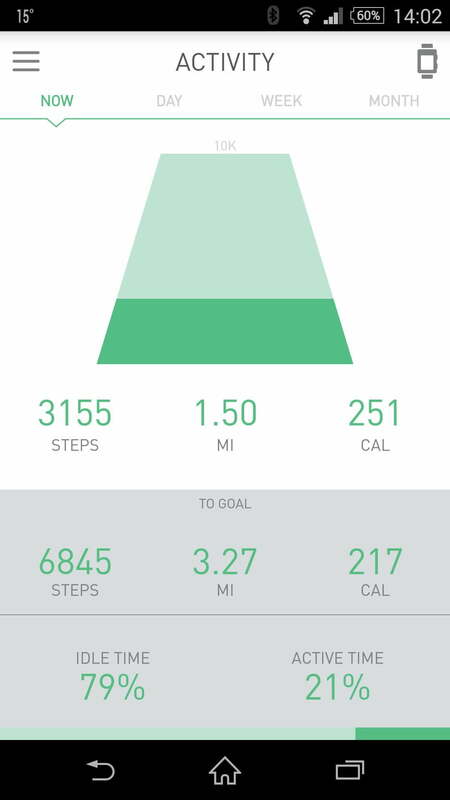 You can set a daily goal for steps, but the Wellograph is not going to admonish you if you don’t meet it. There’s a very big, glaringly obvious problem with the Wellograph when you compare it to the current crop of smartwatches hitting the market. Whatever way you slice it, the Wellograph is really expensive. The Moto 360 actually has a built-in pedometer as well as a heart rate sensor, and it runs Android Wear, which offers a huge choice of different functionality, not to mention it costs $100 less. 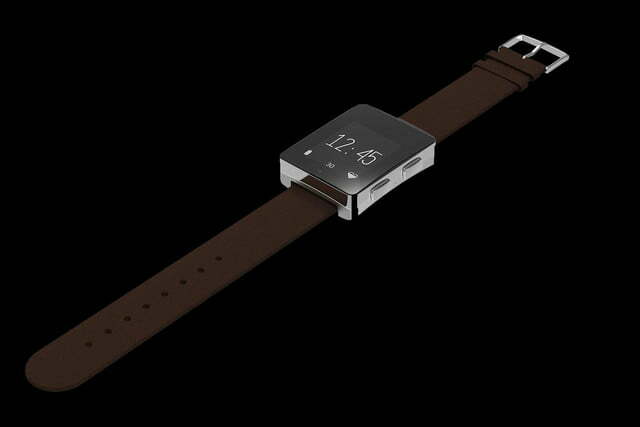 At $350, the Wellograph is the same price as the forthcoming Apple Watch. It has placed itself at the top end of the market. What you’re really paying for here is the design. If you don’t love that angular metal body and sapphire crystal face, then there’s little reason to consider buying it. You can get activity trackers and smartwatches that do the same and more for a lot less money. If you need to go straight from a workout to see a client and you don’t want to change your watch, or you want something to track your run that won’t look out of place at the theatre later that night, then the Wellograph is it. It does what it sets out to do, but for most people it’s going to prove too expensive and too limited in its scope.